The question frames the answer. I read that somewhere. In fact the question that Michael had just quieted the group with seemed to come from the same source. I pressed the recesses of my mind to try to remember where I had read it. “It’s easy to get distracted and hard to know the difference between digging for answers and distraction.” Michael spoke into the silence. There was a slight shift in the air of the room. Focus and clarity fought for the space. “Is there a difference between living your sacrifice and dying it? Is one more final than the other?” Michael repeated the dynamic duo. Again the group retreated into their own revere. Some looking up as if to see their brains disecting the words. Some with eyes closed, as in prayer but more conversation with the only One who could give such answers to such questions. There was a book, a series, I had read. Yes, The Staff and the Sword, that was it! I suddenly had the urge to re-read it. Those statements – not framed as questions in the book – had been the central theme in the last book. It had stuck out to me as I read it, I remembered. I had underlined the themed statements. They had swirled around my head for weeks after I’d read it. I remembered scriptures that immediately came to mind, like a promise kept, during the course of my ponderings. I smiled. Carl, a gentle man with the physical strength of an ox sat forward in his chair. The legs scraped the floor at the movement. Collective heads turned his direction. “I don’t think a great number of people know what sacrifice is. In context to some scripture it seems clear, in others it seems controversial. I mean if Yeshua’s sacrifice was once and for all, how does that apply to us? I can’t remember the exact reference but the Scripture that says, ‘offer your bodies as a living sacrifice’ – this one feels like it’s missing some key element to it. Then we are told to live to God and die to ourselves. So based on that I’d say there is no difference to living my sacrifice and dying it as they are one in the same in this context. Yet, these questions are to me a different world. I sense that what’s being pried open here is something all together different.” Carl sat back in his chair. A spiritual sweat was forming on the man’s brow. It made me think, as here was a man who could likely bench-press three of us sitting here without breaking a sweat. Carl was deeper than most gave him credit for; TV shows always gave guys like him a “big heart/no brain” image. I shook my head as once again I am struck by how God focuses on the heart. Work that out and the brain will fire on more cylinders than most race cars at the Indy. It was true, these questions made the heart go where the brain could only follow it, not the other way around. Michael was the kind of leader who always let comments or questions sink in before he would say something. I liked that, I strove to emulate his example. ‘Silence is space for God‘ he would say, ‘both to work in all those in the room and the one who had just spoken’. The room fairly cackled with it. Michael began reading from Romans 11 and ended up on Romans 12:1, the Scripture about offering your body as a living sacrifice. Everyone wrote the reference down, but Michael continued all the way to the end of chapter 12. Again the room was quiet for a time before he spoke into the fullness of Carl’s comment and the Word. The pages of his Bible flipped back and forth in the lull. “I’m going to have to study more here but I’m thinking perhaps the ‘body’ being referred here is the body of Yeshua. The church as a whole, not just individual people. Though I think it can be applied individually, the context prior to chapter 12 verse 1 and after are all in context of the Roman church; aka: the Body – he was addressing. It never stood out to me before quite like that. Thank you Carl for saying what you did, I tend to agree with you and think perhaps the missing link is interpretation.” His focus returned down towards his Bible. The whole group joined him. Reading and pondering. I was more than a little struck by the new perspective. I can’t count how many times I had heard this scripture quoted, mostly in context of health and fitness/moral related issues and among sports activities. How often Lord have I relied on other people’s context to interpret Your Word? Sacrifice here took on a totally different light from this angle. A collective view of sacrifice rather than individual required more pondering, no doubt. Sharon, Carl’s wife, spoke up. The shuffle of pages being turned filled a gap before she went on. Again the air filled with the wind of pages turning. 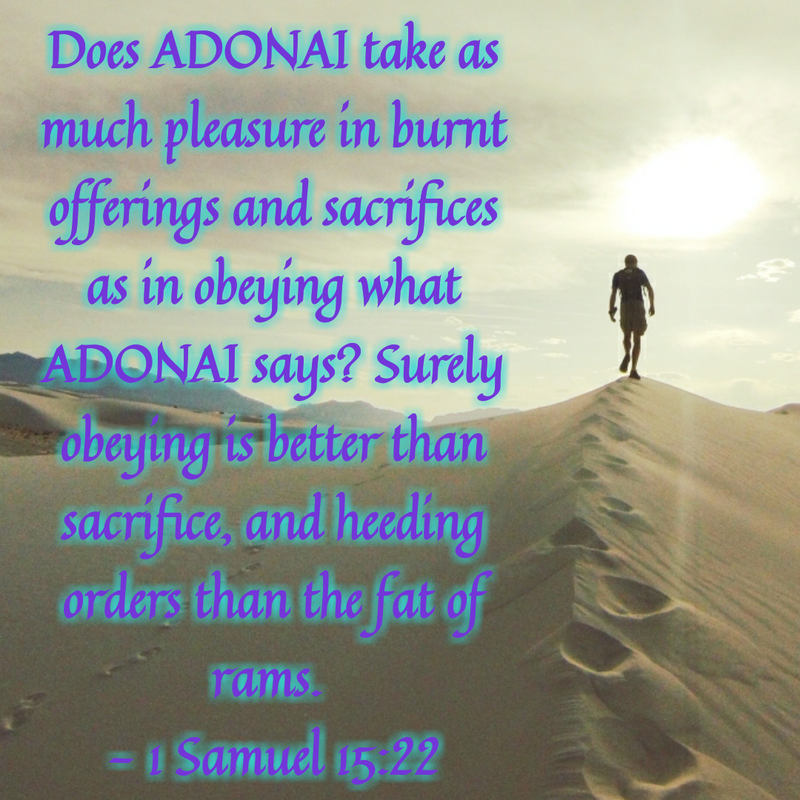 “For You don’t want sacrifices, or I would give them; You don’t take pleasure in burnt offerings. My sacrifice to God is a broken spirit; God, You won’t spurn a broken, chastened heart. Here it speaks personally, My sacrifice to God, is what Davis says. Here again I see both the living and dying of sacrifice working together.” Sharon looked around the room. An invitation to converse with her shone in her eyes. Indeed her spirit invited communion. It was one of her gifts I’ve often noted. “As to the last question; is one more final than the other? I’d say yes and no. Yes, in that if our living sacrifice is not there, the dying can’t exist either. No, because they are both equally important because of the need for each other to exist. As far as the definition of sacrifice, I agree with Carl it needs to be better clarified. In terms of salvation Yeshua’s sacrifice is once and for all, in this case both for the living and the dying – even the dead! Yet just as He said if we do as He did our sacrifice will resemble His. Giving up our way of thinking, deducing, judging and deciding in favor of God’s. This is a sacrifice that occurs within me everyday all day long. This is a living thing, the living testimony. Yet in the working of this I do die to myself every time. Often I think people think of martyrdom; the ultimate end of one’s breathing here on earth where another kills you because you believe. Which is just as applicable here, but it goes deeper than just that simple act alone. No one could get to such a place without having done the living and dying everyday. It shows up in Abel’s sacrificial offering, he gave from the worship of God in the living of his faith, it was a great reminder that his living testimony is still testifying today! What’s more final than that? In most the Scriptures read tonight and that came to mind for me sacrifice is almost inextricably linked to the Temple or church, meaning the Body of Christ as a whole. I will be studying this more this week.” I thought more aloud than intended to speak out. The nodding of heads was encouraging. Yet I still craved more time to let the Spirit lead me deeper. 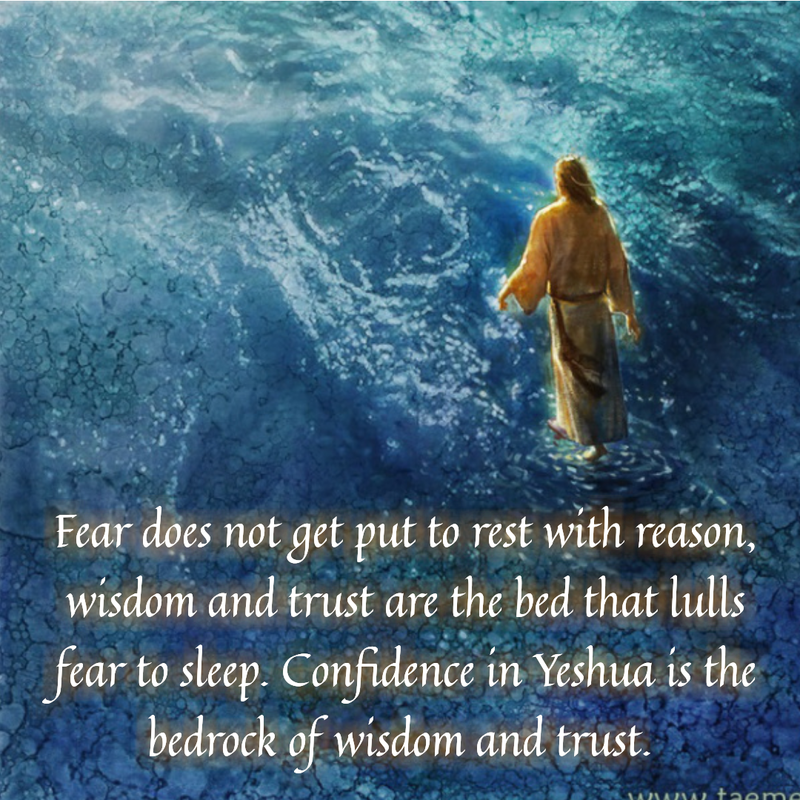 Yeshua – the sacrificial Lamb – it was a title He is, there was more here, I just knew it. Michael’s voice interrupted my introspection. Heads bowed, newly awakened parts of our souls joined with Bob. Excitement and joy flowed from our hearts, joining the Kingdom of heaven. The need for such a place to come together and learn, had brought us all here. Everyone of us at one time or another had shared that it felt like the “churches” that formed just after Yeshua ascended with the promise of His return and the warning to be prepared, ready and watching. We came together in a plead to God that we be renewed and awakened with the sense that times were closing in and we all felt we needed ‘more’. What an answer to prayer this group was! Not of religious people learning religion, but of God’s children learning of Him!